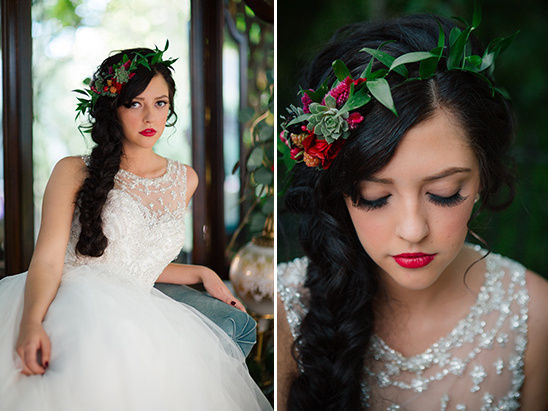 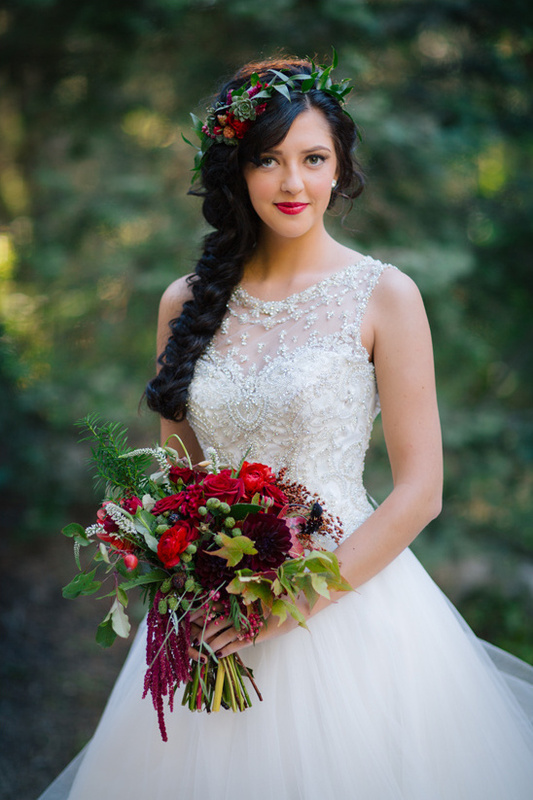 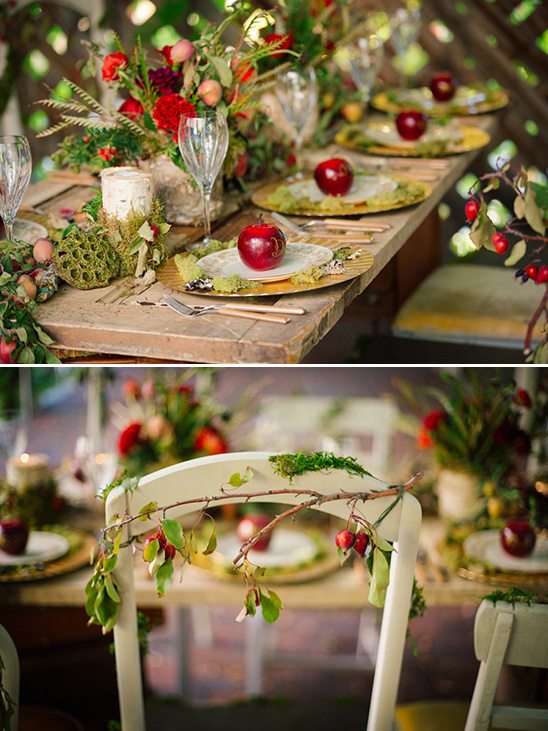 This whimsical wedding inspiration takes its cues from the classic fairytale, Snow White and the Seven Dwarfs. 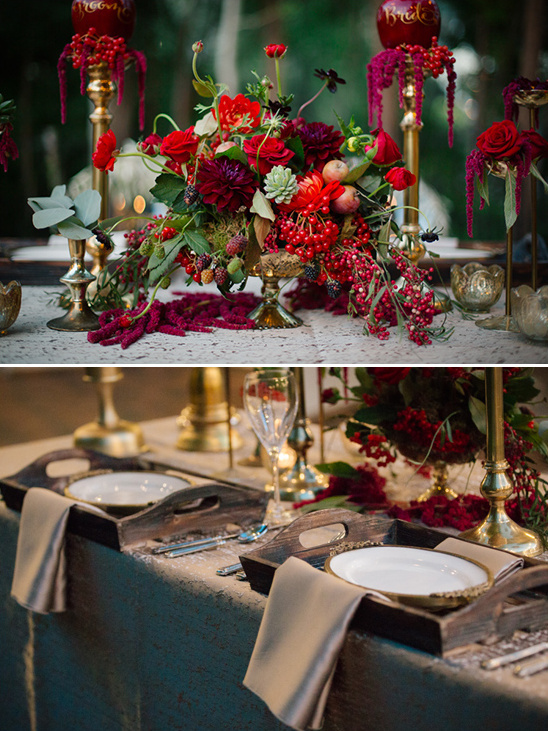 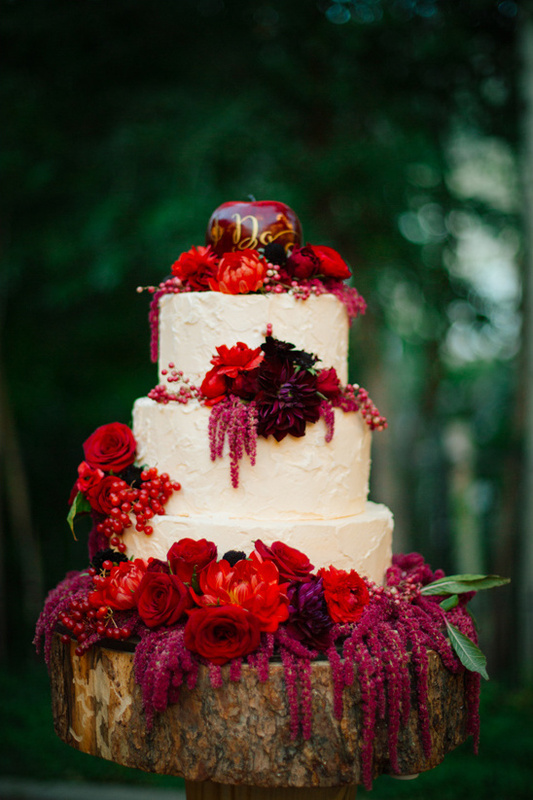 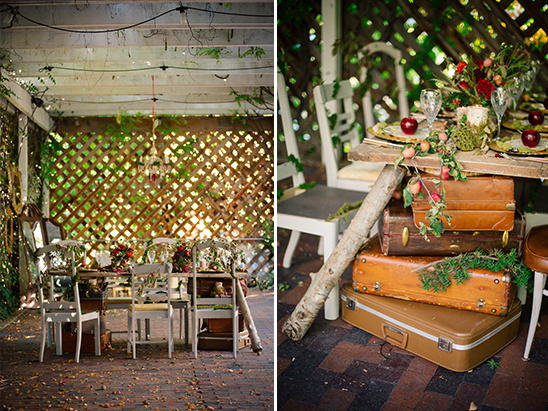 Beginning with an earthy and eclectic table set for seven and ending with a charming cake topped with a ruby red apple. 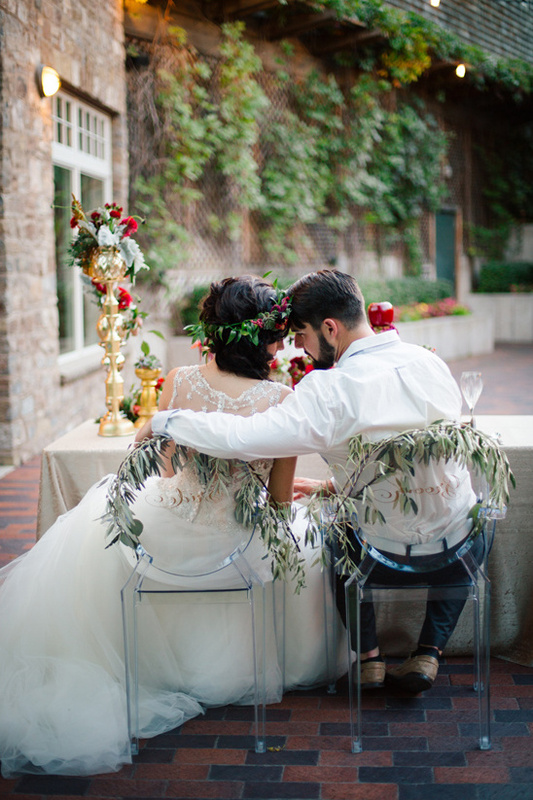 Beautifully designed by Perfect Statement and captured by Claire Marika Photography, you can see even more of these fabulous Snow White wedding ideas by visiting the full gallery here. 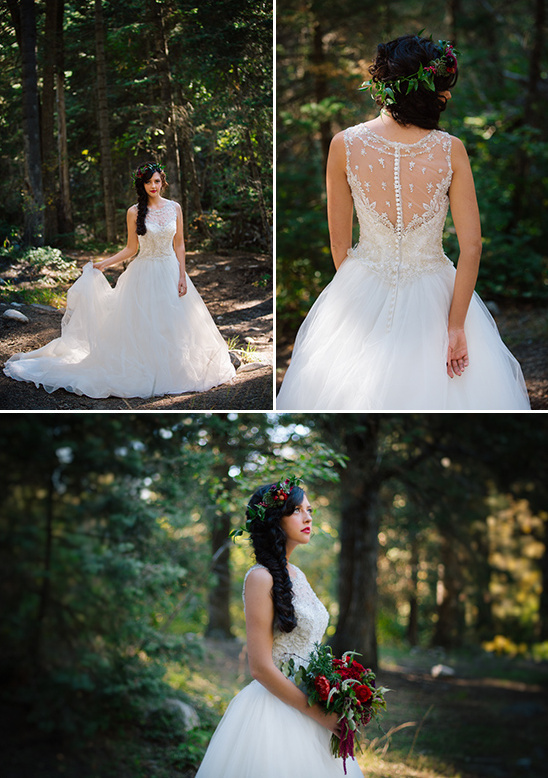 From Claire:A classic fairytale with modern elegance, nestled at the base of a wooded craggy canyon. 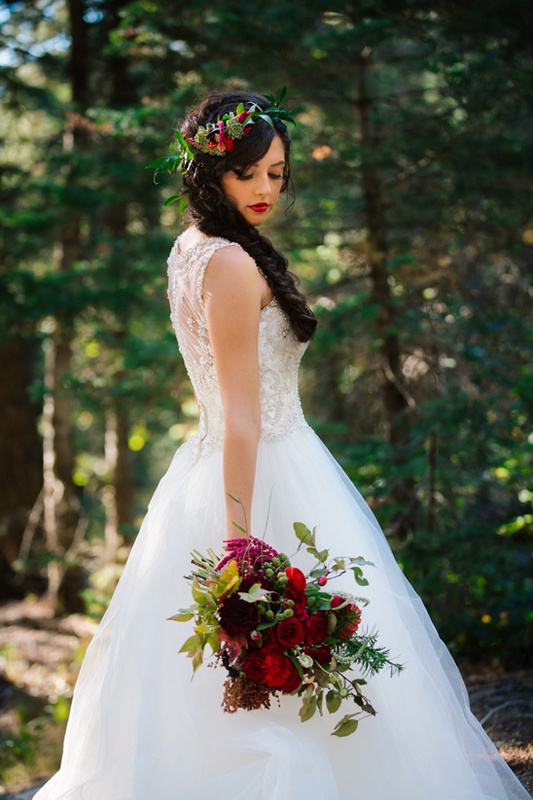 This shoot combines the elegance of a traditional wedding with a whimsical flair to encompass the feelings every girl goes through when dreaming of her happily every after. 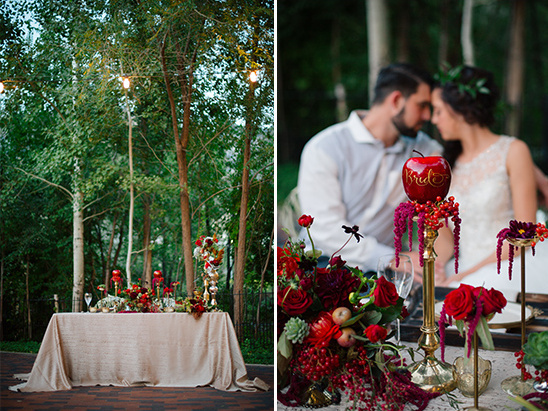 From rustic and overgrown elements to golden flatware, platters, and mirrors galore...the scene was perfect for a woodland fairytale. 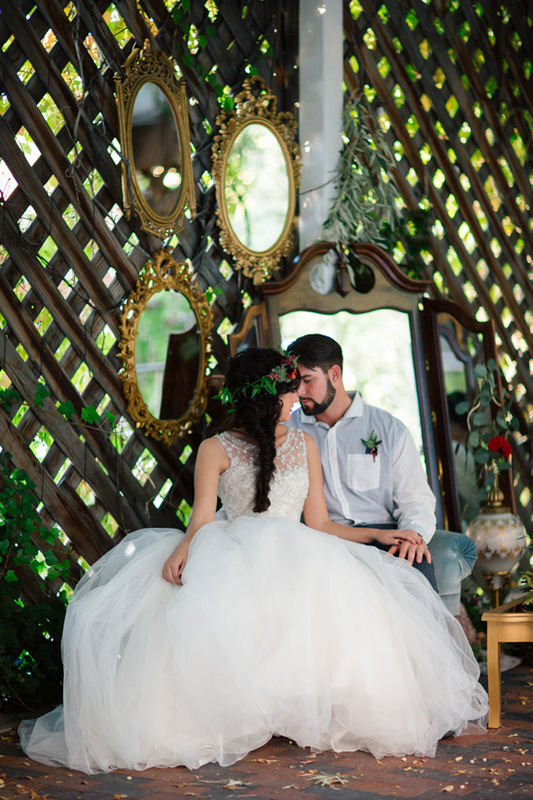 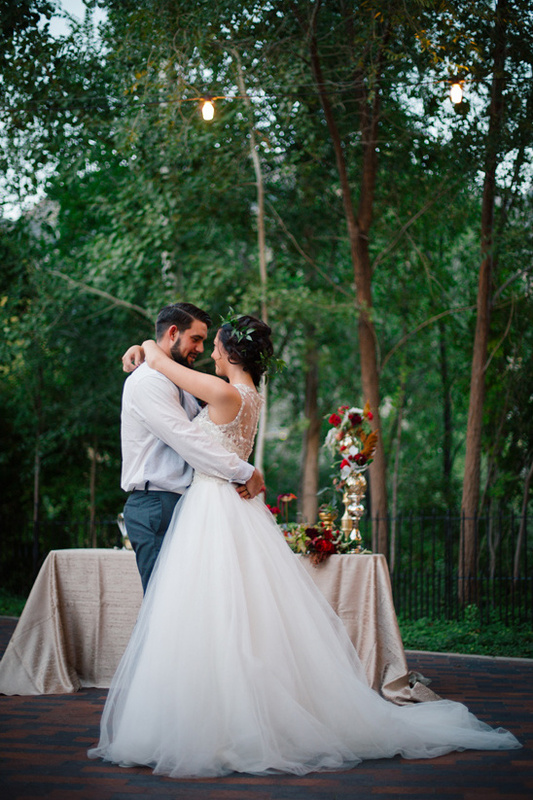 Designer Megan Chytraus drew inspiration from the stories we all know so well; creating the feeling of a magical celebration hidden deep in the woods, using natural elements, overgrown greenery and florals, along with beautiful accent pieces to create the perfect balance of the woodsman and the princess. 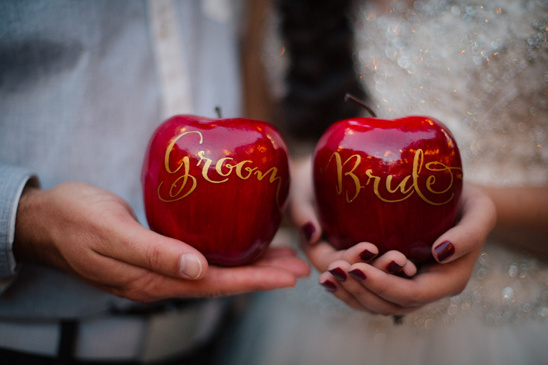 Top it all off with gold calligraphy on deep red apples, and you have a wedding Snow White herself would have dreamt of.